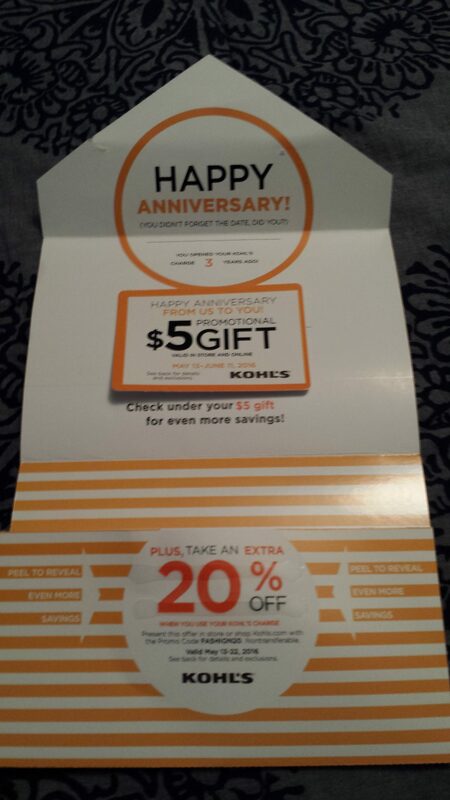 I received a free $5 Kohl’s coupon in the mail along with a 20% off coupon for the anniversary of opening a Kohl’s card. I know credit cards are frugal taboo but having a Kohl’s card did save us a fair amount of money when we weren’t only buying secondhand clothes. Now I don’t need it but I have never carried a balance on it and they still send me free stuff.